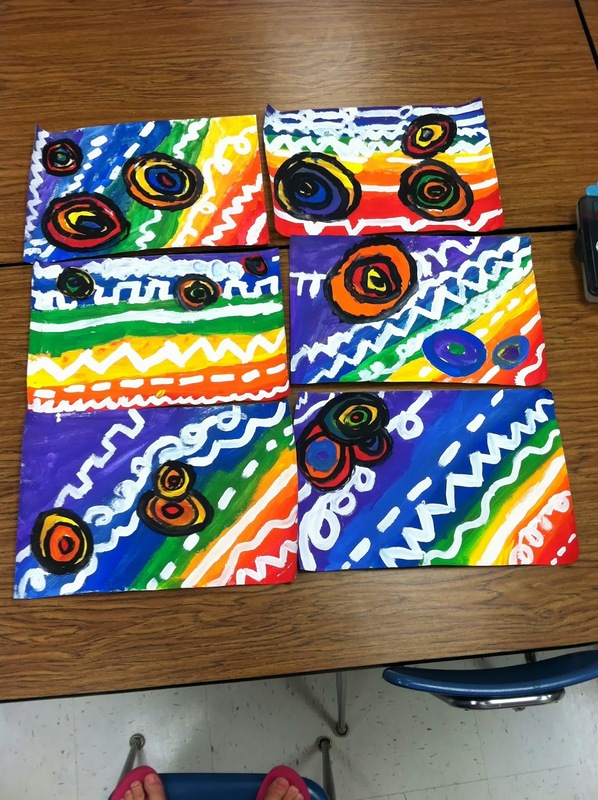 Second grade students spent the last two weeks working on a rainbow project! I first saw a variation of this lesson on Pinterest. You can find the source here. I love how bold the colors look when set off with black and white! We watched this video from They Might Be Giants on youtube and learned a little bit about the science of light and how the color spectrum is created. Then we painted a spectrum of color across our papers with tempera and painted some concentric circles using our leftover paint. The following class, we cut out the circles and attached them to our papers, and used white and black paint for accents. They are so bright and fun!